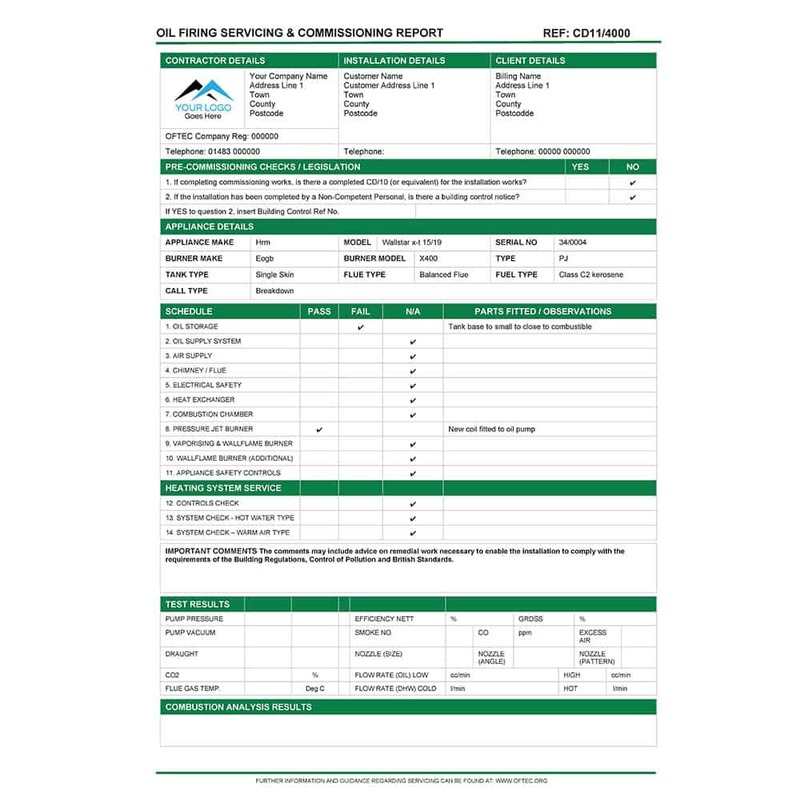 Job Completion Report form for use with ServiceM8. 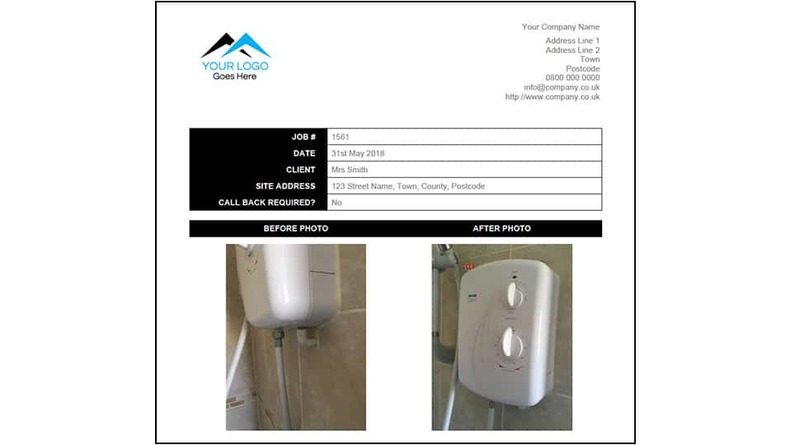 Complete a full work report for customers & landlords with before & after photos whilst on site. This Job Completion Report form can be used within ServiceM8 to create completed work reports on the go. Use the ServiceM8 app to create your job reports on site and then email or print the finished PDF form to send directly to your customer. 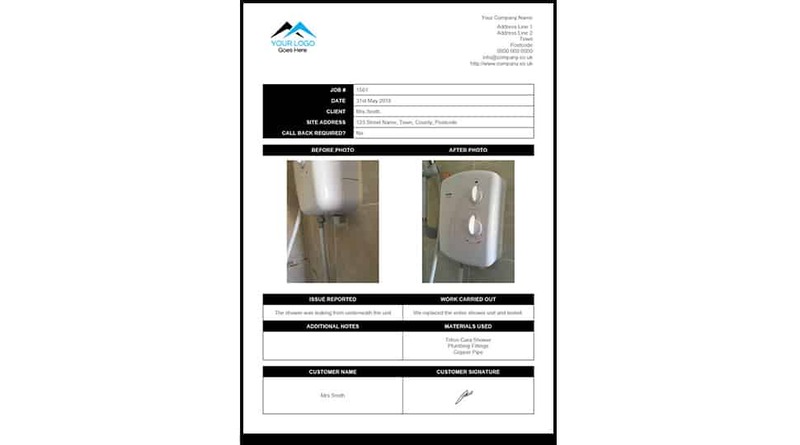 Include before and after photos, as well as details about the work that was completed and the any work that still needs to happen. 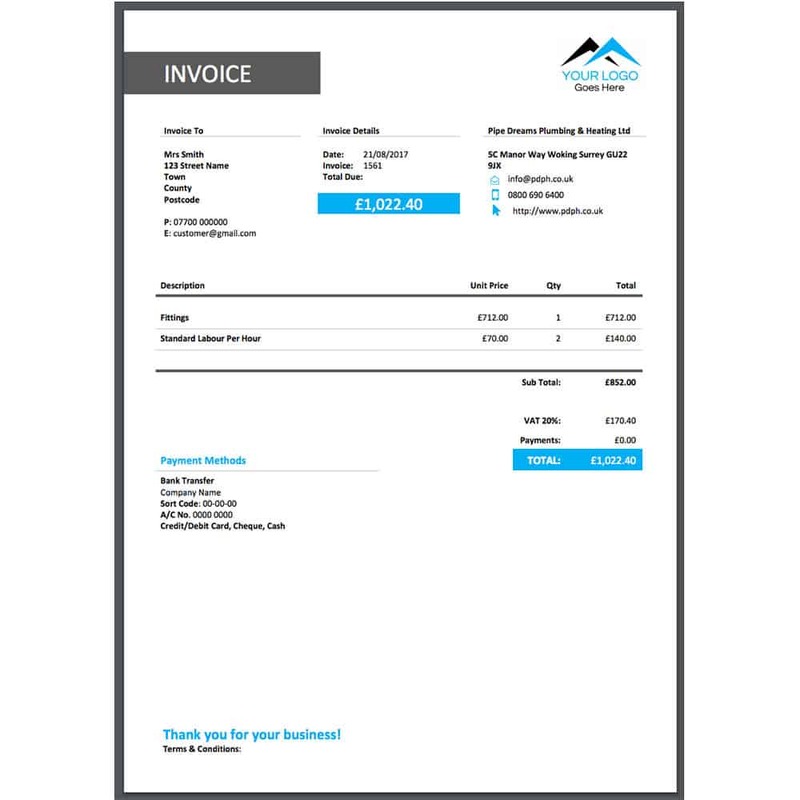 The report design is personalised with your company logo and details and automatically fills in the customer’s name and address, enabling you to create branded reports in no time at all. No internet connection – No problem! 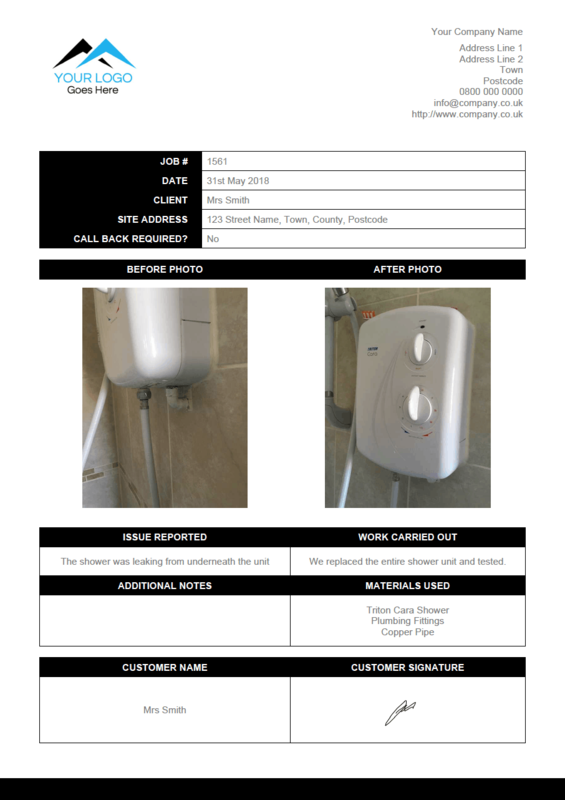 Engineers don’t need to have internet access to record all of the details – just complete the report on the app as normal and the final PDF can be generated once the engineer regains signal, or from the office. Add the form to your basket & place your order. I’ll customise the form template to display your company logo & details. I’ll send you a partner support invite and upload the form to your ServiceM8 account ready for you to use.